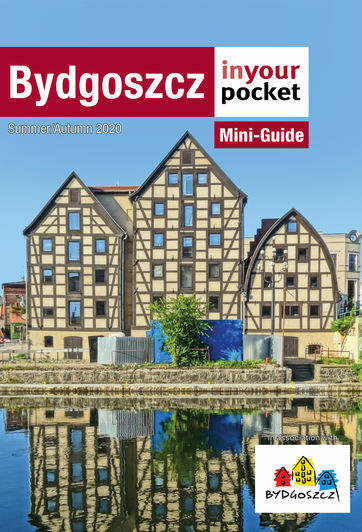 Although it looks like a crossword cipher gone wrong, there is some linguistic logic behind the hard syllables of this northern city's name: 'Bydgoszcz' comes from a combination of the Old Slavic words for ‘to be’ (or ‘to become,’ sort of) and ‘guest.’ As such the city's name is an extension of its atmosphere, and a warm invitation to enjoy some Polish hospitality. Pronounced 'Bid-goshch' (go on, you've got it), this Pomeranian town on the Brda River may not be a common site on European travel itineraries, but is one of Poland’s best kept secrets, thanks to postcard perfect views, a wonderful museum island, quaint waterfront, charming footbridges, old granaries, and even its own brand of Art Nouveau architecture. Scratch below the scenic surface, and you’ll also discover dark tales of WWII horror, materialised in the gloomy Valley of Death and an absolute must-see: the Exploseum, a former Nazi explosives factory hidden away in the Bydgoszcz Forest. For rest, relaxation and family fun, there’s the Myślęcinek Forest Park just 5km from the centre, which boasts numerous attractions for all seasons, from the city Zoo to a winter ski slope (yes, even in this very flat part of the country). Whatever your interests, use this guide to get the most out of your visit, and we hope you fall in love with this city as much as we have. As always we welcome all comments, questions and suggestions. Leave your comments here on our website, send your thoughts and witticisms to poland (at) inyourpocket.com, and follow us on Instagram. Also make sure to check out our Poland IYP blog because the internet is vast and we all have to do our part to fill it up.